In the Facebook revamp, whatever position, workplace or school/college you updated last would appear as your primary network, even if it wasn’t one you wanted to display. The option to join a network or change your primary network may have been removed, but there’s still an easy way to change what network appears next to your name. Read on to find out how to change your primary Facebook network! Step 1 – Go to your Profile and click the little Pencil icon on the top right of the ‘About’ section and click ‘Update Info’. 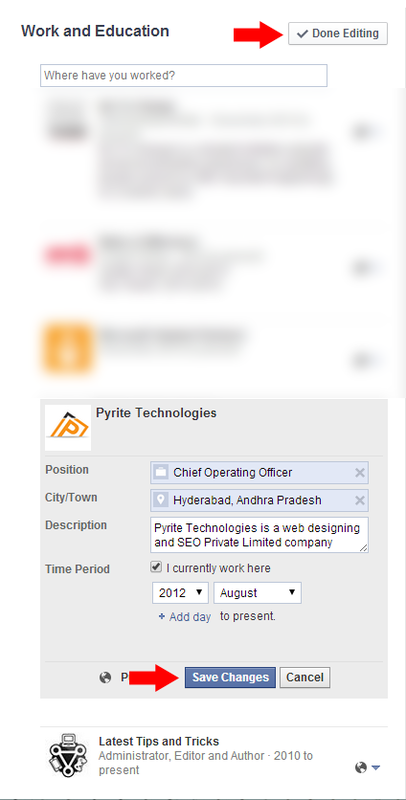 Step 2 – Update your profile information with all your details, add dates attended as well. Now click ‘Done editing’. By default, the most recent detail will be your primary network. Step 3 – Now, hover over the workplace/school/college name that you’re a part of and want to appear next to your name, and click ‘Edit’. Update any details if you want to, or if there’s nothing to update, simply click ‘Save changes’. Now when you hover over your name anywhere on Facebook, the last edited part of your Work and Education section will appear next to your name. 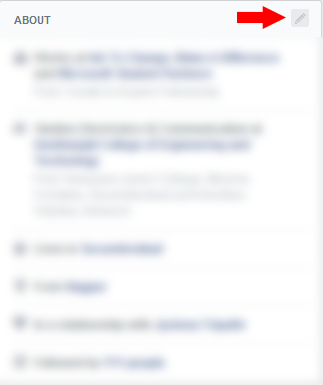 Even if it’s not the most recent position you’ve acquired, simply clicking ‘Save Changes’ as mentioned above will trick Facebook into thinking it’s the most recent, and will be featured next to your name as a primary network. There’s two things to keep in mind here. The first is that despite what appears as your primary network, the About Me section on your timeline will still show the most recent positions or places of education, and the second is that every time you want to add another piece of information to your Work and Education section, you’ll have to follow the above process to change your primary network to whatever you want, assuming the last added one isn’t what you want to be displayed. Do let us know what you think about this trick, and if you’re facing any problems, we’re happy to help! I tried to change the network by the way you instructed. But on mobile it’s still shows my school instead of my company, which I intended to show. On laptop, it still shows my city. Try removing and re-adding all your about me information, then saving the one you want to be displayed last. it doesn’t changed my primary network… i did whatever u said to edit but no use!! Are you sure you edited the one you want to appear as the headline last? Just checked, it still works. Hey y primary network does not appear next to my name. I tried saving many times but it does not work. Also the option under settings for primary network does not work. What can be done. You should link a page for it to appear, just text won’t do. So when you’re typing your organization name, make sure you click the page that appears in the drop down menu as well. Hi, I’m having a similar issue. I used to be part of the Philadelphia network. However, I removed the Philadelphia network from my profile, updated all my info like you suggested in recent posts, but Philadelphia still shows below my name when searching for me. Do you have any suggestions? I’m all out of ideas. Thank you! Hi David, geographical location based networks don’t work now, are you sure you’ve selected where you work, as in linked it to their Facebook page?